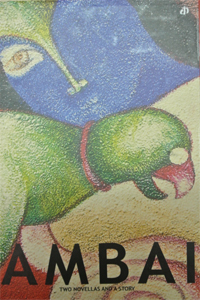 I started reading Ambai with this book. I had heard of her and her books in the past, but somehow never got around to reading her. There was always this preconceived notion of her writing being acutely feminist in approach and style, and honestly I was not ready for that kind of fiction or non-fiction then. I picked up, “Two Novellas and A Story” on almost a whim or rather an impulse and sometimes the time is just right for these kinds of books. For me, it was now I guess. The thing about Ambai’s writing is that she opens a world through silences. There are no gaps in her stories and if there are, then it is for the reader to discover what is hidden. She does not give it all away and that is the beauty of her stories. “Two Novellas and A Story” has obviously two stories and a novella, but also a very interesting essay on space and longing in women’s literature. Ambai’s literature is not feminist in nature. She tries to create a balance between men and women and observes their relationship dynamics with a fresh perspective. The first novella in this small book is called, “Wrestling” and it is an unusual way of looking at a marriage and how sometimes both perspectives are needed. It is about music and ego and love which mostly is hidden. The plot is not wafer-thin. It is well-layered, though it takes time to get used to the characters’ names and the relationships, but when you start and immerse yourself in it, you are in for a ride. At the same time, “A Deer in the Forest” is a story of a woman – who is the center of her many nieces and nephews and stepchildren and perhaps their children (or so I assumed) and more children of the household. Just that she cannot become a mother. And she allows her husband to get married again. She spins stories for the children. She continues to live life exactly in the same way like she did before. This is what I loved about Ambai’s writing. She blends the plot in the ordinariness of life. It is built around the daily acts of living. It is through this that her writing shines and is most relatable by readers, irrespective of borders or languages. Ambai is not a feminist in the real sense of the word. She is definitely on a mission, but at the same time, it is done beautifully through her stories and characters, that live in the world, and blend in, only to emerge victorious through their choices and opinions. I am absolutely looking forward to reading more of Ambai, because I know this will not be the end of my reading journey with her. This entry was posted in Books, Katha Books, Literary Fiction, Review, women and tagged A Deer in the Forest, Ambai, Feminist Writing, India, indian literature, Katha Books, Men and Women, relationships, Tamil Literature, Translated Works, Two Novellas and A Story, Unpublished Manuscript, Women, Wrestling on July 1, 2014 by thehungryreader. I do not know how to start this review. The words are a little difficult to come by but I shall try. “Pages Stained with Blood” is not going to be an easy book to talk about. It is about 1984 and what the country saw in the wake of Indira Gandhi’s assassination. The riots were not an easy time. They never are. No tension is. It is the people who suffer ultimately. It is the people who pay the price. “Pages Stained with Blood” is a fictional book, but at the same time, because of the nature of the plot, it always resonates as being non-fiction and rightly so. It is the human frailty which depicts itself so starkly, that as a reader, I did not know after a point how to react to it. The book is about Delhi and its adjoining places. It is about the capital, through the lens of a young woman who is collecting material for her book. She meets people along the way – telling her stories, falling in love with her and showing her new aspects of the city. This leads to the connections with people and their stories during the riots and what happens thereafter. 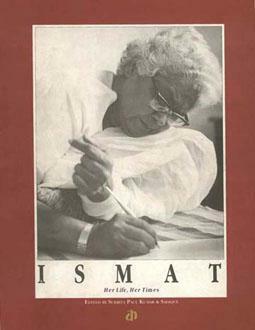 The writing was originally in Assamese, translated by Pradip Acharya in English. The writing is lucid and also fragmented which gives it the linearity and over all atmosphere is lent to the book. Goswami describes a time and place, which is unknown to most of us of this or the past generation. We have not gone through it and I can only thank God for it. The book tells it the way it is. The author at most points becomes one with the book. The narrator cannot be differentiated as well. “Pages Stained with Blood” is a marvellous piece of work which otherwise would have been hidden, had Katha not published it. 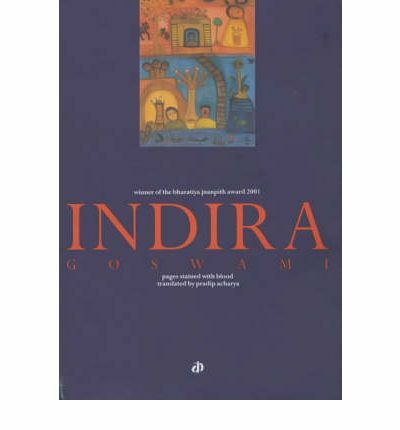 This entry was posted in Books, Katha Books, Literary Fiction, Pradip Acharya, Review, Translated Works and tagged 1984 Riots, Indira Goswami, Katha Books, Pages Stained with Blood, Pradip Acharya, Translated Fiction on February 6, 2014 by thehungryreader.